In case you strive for new sounds and melodies Ana Lila Downs Sánchez is the one you should get to know. Best known as Lila Downs, with her exotic features, her regal voice, and her Latin tunes, appears at the Palau de La Música to present her new challenging album “Salón, Lágrimas y Deseo”. This Mexican-American lady is very complete: she is a singer, songwriter, actress and a very charming woman. She switches from performing her own compositions to the works of others in multiple genres, spicing it up with Mexican rhythms. She also incorporates indigenous Mexican influences and has recorded songs in many indigenous languages such as Mixtec, Zapotec, Mayan, Nahuatl and Purépecha. That is quite different from those things you’ve heard before. They say this lady has a powerful vibe and personality, and a live show in Palau is a good chance to check it out. She performs on Tuesday, November 21. The price of the ticket depends on the seat you pick, the range is from 20€ to 50€. Can’t get enough of tapas? Take advantage of Tapantoni in Sant Antoni neighborhood. 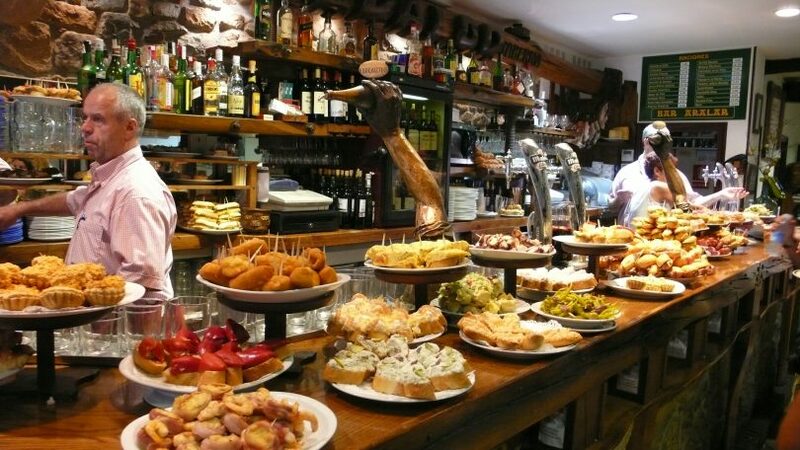 The 10th Tapas festival is taking place in Barcelona until November 26th. You can get one tapa and a drink for 2.5€, or a huge set menu for 25€. Numerous restaurants are taking part in this gluttony spree. You might already know some of them: Rekons, Bracafe, 101 Miniburgers, La Desayuneria, etc. Don’t miss the chance to try tapas such as “chicken croquecake”, “churros” and of course “patatas bravas”. Also, you get the chance to participate in the running contest for the best tapa. Simply, choose the tapa that you liked more, fill in the ticket, hand it out at any of the establishments participating in the event until November 29 and be involved in the draw for dinner for two at one of the restaurants of Tapantoni festival. Apparently, Barcelona is the city of Gin Lovers. Most probably that’s the reason why so many bars are specialized in gins, especially in homemade ones. One of them is Rubi; an intimate bar situated a little off the main thoroughfare near the Picasso museum. Rubi bar is hidden down a few alleyways but worth the effort you put to find it. The staff is pleasant and they will happily recommend some nice drinks appealing for your palette. Choose from infused homemade gins with coconut, chocolate, watermelon, and classic vanilla. Add some tonic and enjoy your incredible combo. If you are not a gin person, pick a 4 € mojito instead. Find Rubi in a beautiful neighborhood of El Born, on Carrer dels Banys Vells, 6. Christmas, undoubtedly, is the most wonderful time of the year. Beautiful Christmas lights everywhere, Christmas markets across the streets, overwhelming festive mood and a little bit of snow.. (not in our case, though). All of these add up to this amazing Christmas atmosphere. So this week, let’s get in the mood with the tradition where 100 kilometers of lights that decorate the city are switched on to mark the beginning of the Christmas celebrations. This year, the official ceremony takes place in Las Ramblas to honor the victims of the terror attack as well as in recognition of all the people across the street that were an outstanding example of generosity and kindness​ during and after the attack. The Lights will be turned on at 7pm on Thursday, 23 during the official opening ceremony in the middle of Las Ramblas. Board games, a kid zone, popular and traditional games, historical simulations, role play and miniatures are just some of the options embraced by Dau Barcelona. Apparently, this is a festival of games, where you can be entertaining your infantilism throughout the whole day. Professional players and game authors will find appealing activities too. The event takes place until the 26th of November with free entrance but the seats are limited. The event takes place on Carrer de Sant Adria 20, at Fabra i Coats-Art Factory and the best way to get there is by metro (L1: Sant Andreu).